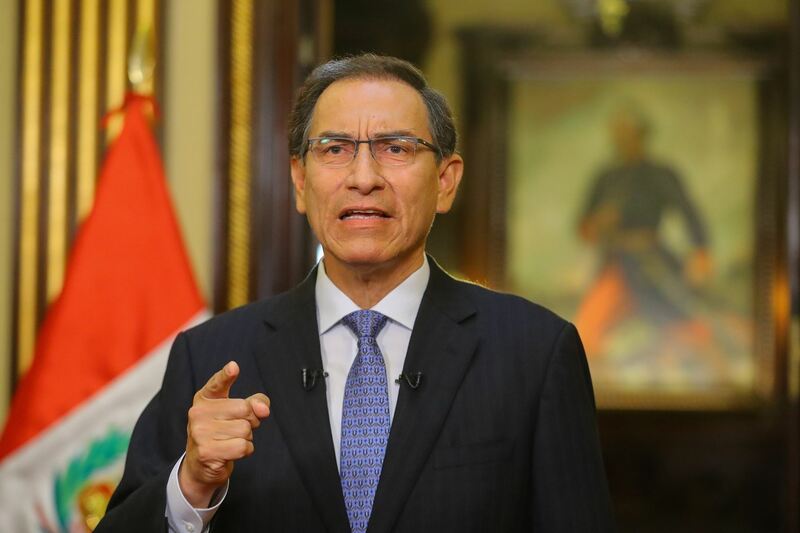 President Martin Vizcarra affirmed his administration’s goal is achieving an economically stabilized country that improves Peruvians’ quality of life through solid measures against corruption and impunity. Likewise, the Head of State indicated that —on July 28, 2021— he will hand over the presidential sash to his successor relying on effective results in Health and Education sectors. «I will hand over the post, as well as a socially and politically stabilized country, with economic growth and improvement of the lives of all Peruvians. That is my goal, and I will achieve it,» the top official told Latina TV channel. Furthermore, he stated economic growth will be focused on the people who are most in need. Among the measures planned for 2019, the statesman informed the reconstruction process will count on a S/7 billion (US$2.109 billion) investment. In January, S/2 billion (US$602 million) will be transferred in order to boost the works currently in execution. Concerning the actions to confront violence against women, President Vizcarra said it is necessary for all sectors to act, from the State to citizens, with the purpose of reducing the number of femicides. Moreover, he affirmed great efforts will be undertaken to decrease childhood anemia. Plus, there is a very ambitious goal, which is to reduce the rates to between 19% and 20% by 2021. Regarding the health sector, in 2019, 80 new hospitals and health centers will be inaugurated in almost every region in order to directly benefit the Inca country’s population. The Head of State also announced 1,000 new schools will be delivered this year.